Grassington House announces a special Guest Chef evening as part of its continuing 10th anniversary celebrations. The Freemasons at Wiswell has had a stellar start to 2018, retaining a top five spot in the Estrella Damm Top 50 Gastropubs Awards, voted by top food and hospitality experts, in addition to becoming the AA Restaurant of the Year for England at the Hospitality Awards 2017. 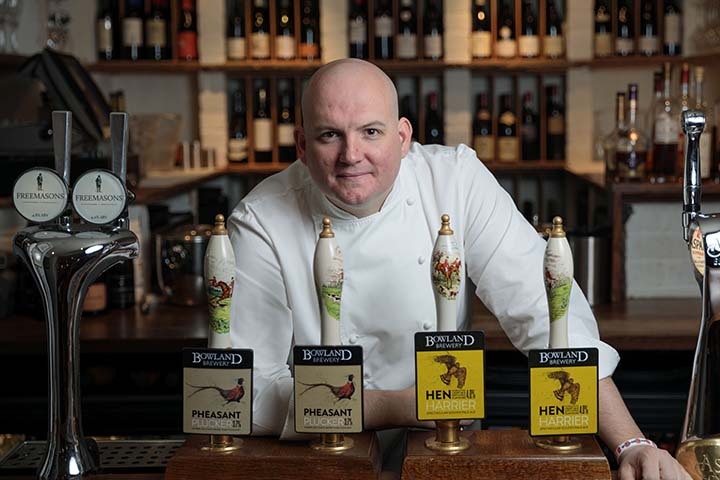 Over the past few years, John has successfully teamed up with several high-profile chefs, including Michelin-starred Aiden Byrne and celebrated Scottish chef Mark Greenaway. Both evenings sold out. The Freemasons has enjoyed a wealth of accolades in recent years, including being the first pub to receive a seven out of 10 in the Waitrose Good Food Guide, winning Gold at the Visit England Awards, and the Best Food Pub at the Great British Pub Awards.